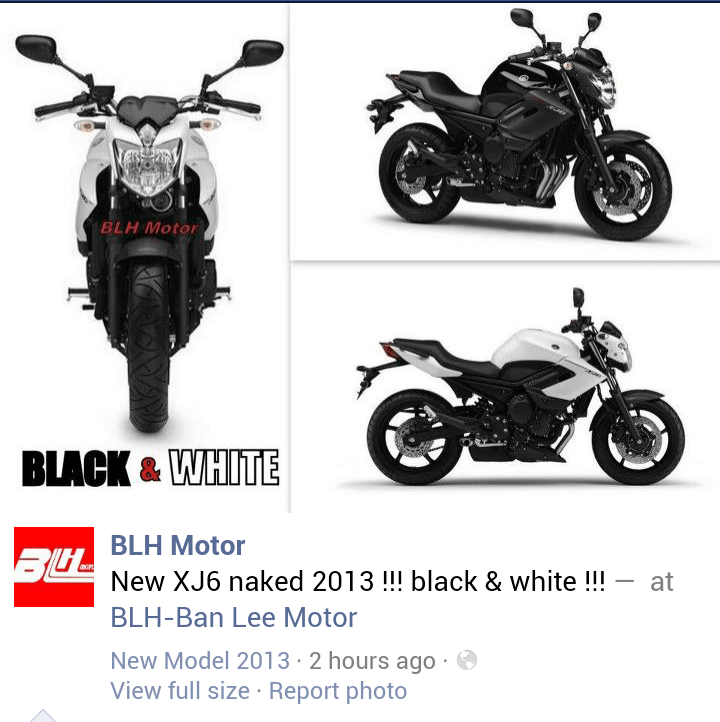 Home » 600cc » XJ6 » Yamaha » Is this the 2013 Yamaha XJ6 naked bike for Malaysia? Is this the 2013 Yamaha XJ6 naked bike for Malaysia? 2013 Yamaha XJ6 naked bike is coming real soon to Malaysia. BLH Motor has shown in their facebook page about this images of the 2013 XJ6n. Will we get the same model as beautiful as this?